Earlier this week I posted about cover changes from hardcover to paperback. I included books I thought had gone under a good cover makeover. Then over the past few days, as I was thinking about covers, I came across some that had undergone a makeover that I thought went from good to bad. This isn't an uncommon occurrence. And what one person says is bad, another person may love. It's all about marketing and trying to reach a certain audience. I actually think this is a lovely cover-just not for this book. To me this looks very paranormal and seems to match a lot of the covers that are in the YA market right now. I don't get a historical fiction feel from this cover-instead it looks more like a sad paranormal breakup story. But one day, a real-life mystery begins to unravel — at the Little Art! And it all has something to do with a girl in polka-dot tights.... Armed with a vivid imagination, a flair for the dramatic, and her knowledge of all things Rita Hayworth, Dani sets out to solve the mystery, and she learns more about herself than she ever though she could. And I saved the worst cover change for last. Are you ready?? 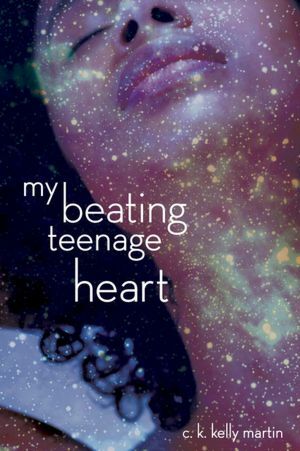 The hardcover of My Beating Teenage Heart is nice and simple and I like it. Anyone else getting a flashback to the 80s? The books that I do have on my library shelf that have 80s and early 90s covers do not get checked out. I also think the colors are just odd and the glowing yellow on her neck makes the girl like she has a starry rash. I also think this really has little to do with the book, where the first cover at least, to me, shows that this book will be sentimental and heartbreaking. The paperback cover just looks trippy. Thoughts? Are these cover changes good or bad? Any other cover changes you've come across that have totally missed the mark? The BTOS cover is awful. It looks like a romance, which the book is definitely not. I think it will give readers the wrong impression and make them like the book less. 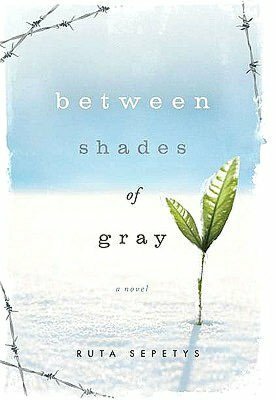 One thing I love about the original cover for Between Shades of Gray is that I think adults would pick it up and I think that's a book with a lot of adult crossover appeal. The new cover? It looks like a romance. Would appeal to maybe a certain adult audience, but not the wide audience for that book! I loathe the reissues of the classics like Sense and Sensibility and Wuthering Heights with the new "Twilight" esque covers. *cover* Also, have you seen these modern covers for Shakespeare and other classics like Poe and Jane Eyre? I agree- all changes for the worst! Keep up the cover changes- so interesting! I'm so depressed now. 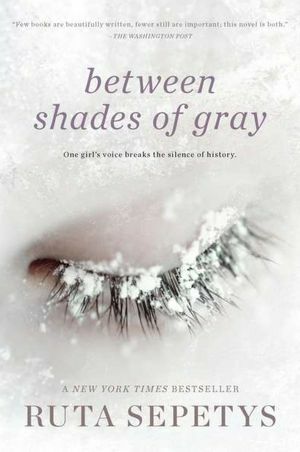 The new cover for Between Shades of Gray (aka How Did This Not Win the Printz???) totally throws off the whole feel of the book. 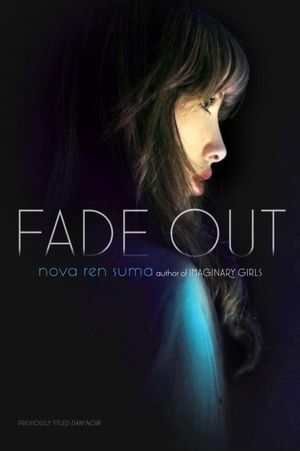 I'm utterly confused by Dani Noir vs Fade Out. Why didn't she just write a whole new book?? I wonder if any of the actual story changed... ? And I think the last 2 covers are both awful. Ugh. Good call on these choices, they are bad! I really don't like when they totally change the look and feel of a book (unless the original cover didn't work). 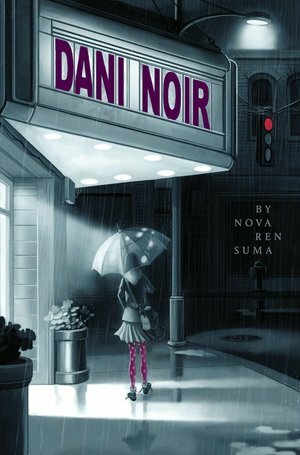 Dani Noir appears to be a completely new book - but it isn't. That's so frustrating when you don't realize that until you've read half the book! I had no idea that Between Shades of Gray was about a girl who falls in love with a ghost even though she's a ghostbuster! Or she's a necromancer and there's zombie love? Or something? 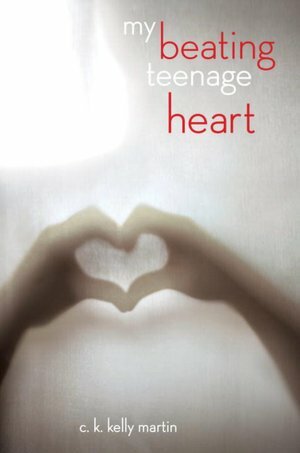 At least Beating Teenage Heart has a person of color on it, even if the cover isn't great. Oh my goodness those cover changes are TRAVESTIES! Especially Between Shades Of Gray. What were they thinking? I get how the snow kind of relates to the book when they are sent to the labor camp in Siberia, but like you said it just looks like a paranormal book. And Dani Noir? They took what was a gorgeous eye-catching cover and made it look like every other book on the shelf.